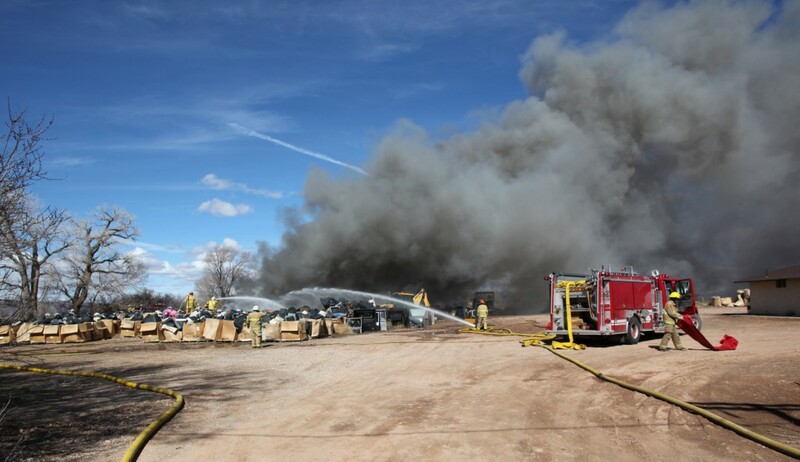 PAROWAN – Firefighters are attempting to extinguish a business fire in Parowan that has left a plume of dark smoke above the town and surrounding area. 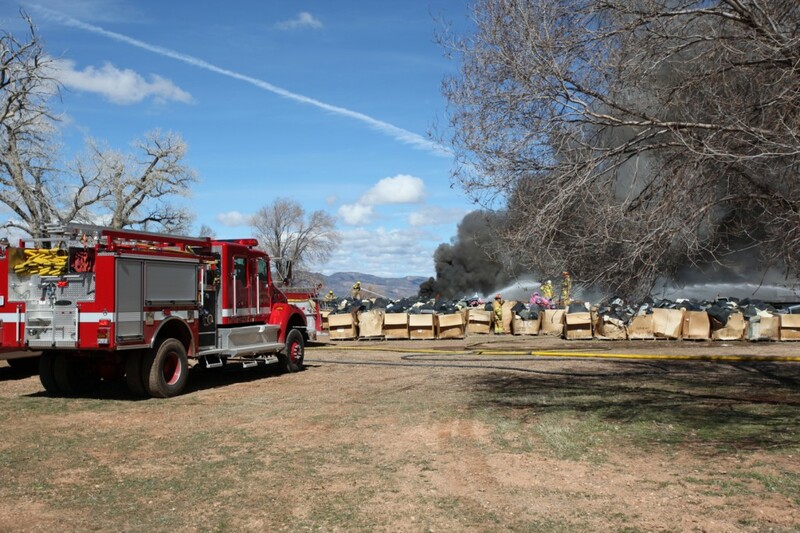 The actual structure of the building is not on fire, but crates filled with televisions, and computer screens in the yard of Stone Castle Recycling are on fire. 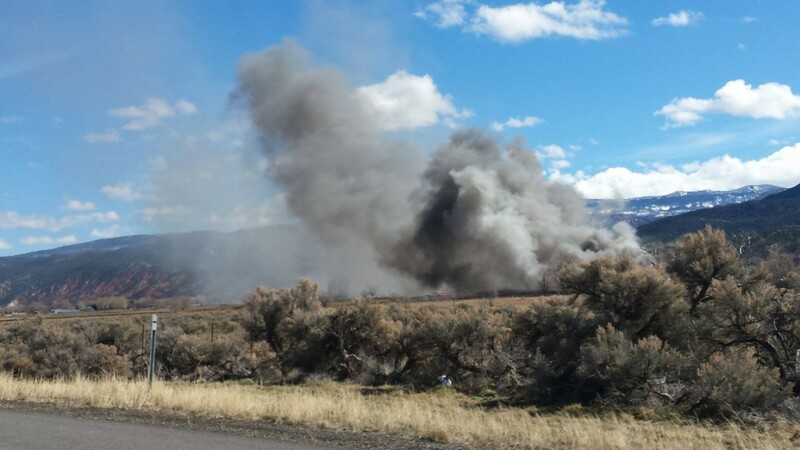 As of 12:40 p.m. drivers attempting to exit Interstate 15 at Exit 75 were diverted to Exit 78. 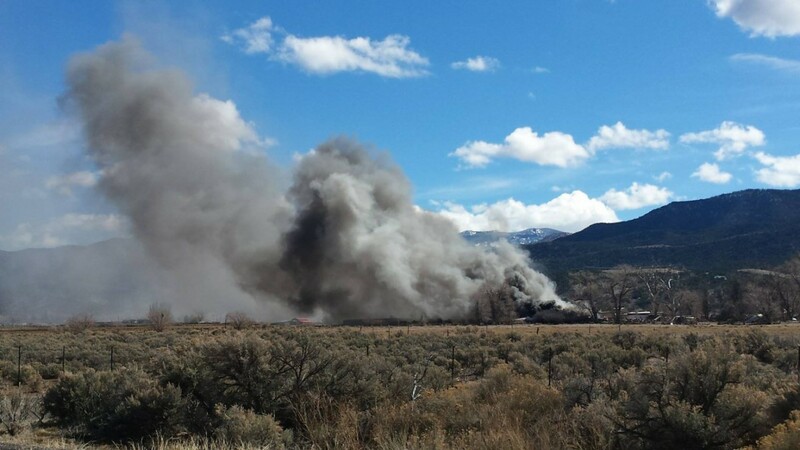 State Route 143 at Interstate 15 was closed for one mile. 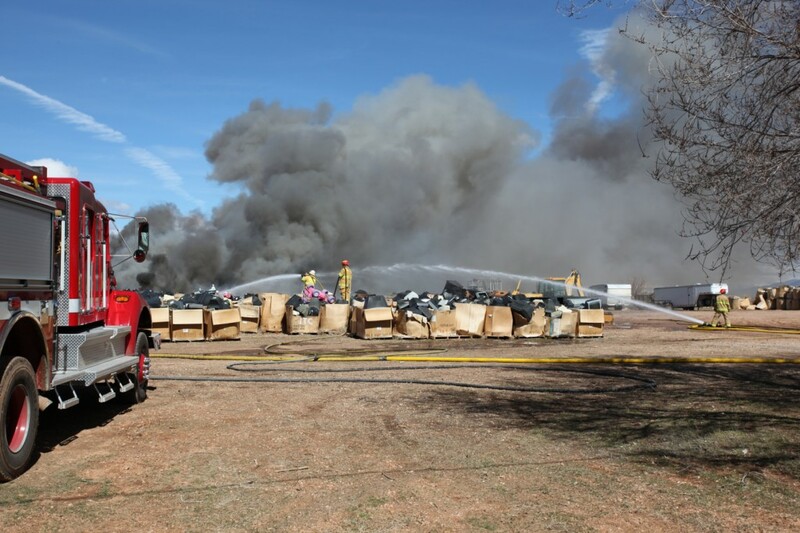 As of 1:15 p.m. Sunday, approximately 10 fire trucks were fighting the fire according to Aaron Hall, who was on scene. 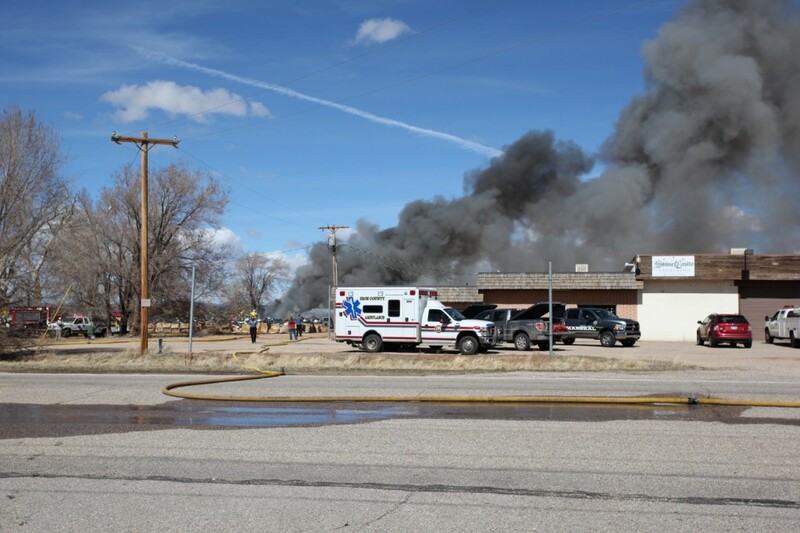 Hall owns a neighboring business, Altitude Performance, and said that when he showed up to the scene around noon, fire crews were fighting the fire. As of 1:15 p.m. the fire seemed contained, Hall said, and there was no threat to his business, approximately 50 yards away from the fire. 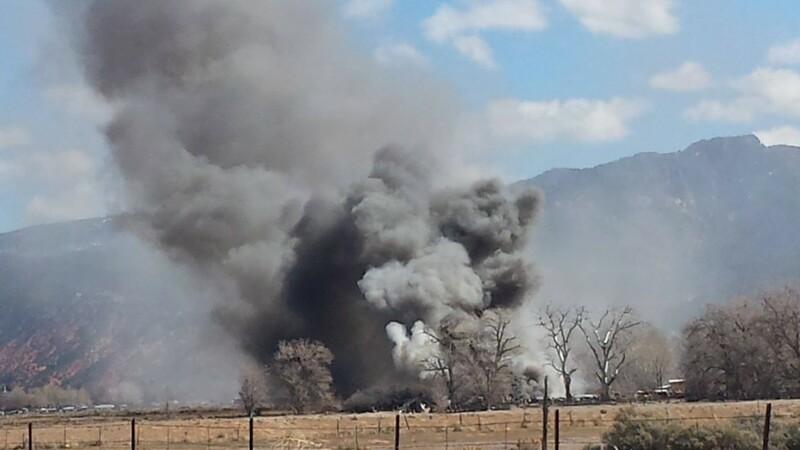 Fire crews from Paragonah, Parowan, and Brian Head are all fighting the fire, Hall said. Stone Caste Recycling is not open on Sundays, Hall said, and he was unsure how the fire started. Stone Castle Recycling is a electronic recycling company.